Oh finally I have found the time to make something new! Today I completed these great drawstring bags for kids. 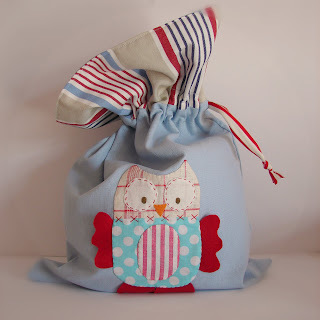 I've been wanting to make these for such a long time but was always perplexed about making a drawstring bag. Goodness knows why they're not hard at all! Now I've figured it out there's no end to the possibilities! I hope to produce some more but need to get back to growth chart making!!! 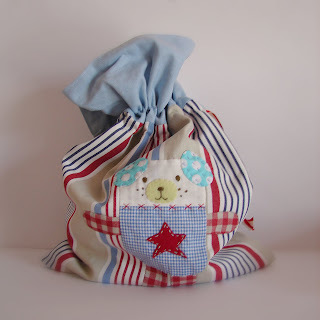 For some bags I used linen as a base and others cotton. 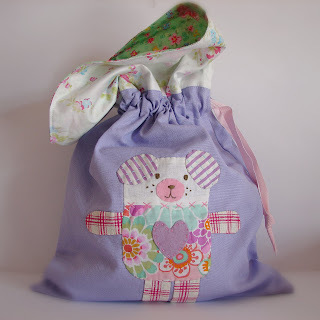 I appliqued my cute softie animal patterns on them and love the way they turned out. They would make a lovely gift with a softie and bib for newborns or even just the bag for older kids. As they are quite large they can be used for all manner of things like for books, gym, toys and so on.